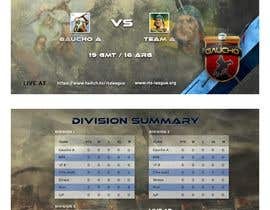 I manage a Facebook page for teams of Age of Empires players. I´m looking to post tournament announcements with a nice set of images. I need a set of 3 standard images in Facebook post size. The images need to have the logo and style of the league and the team (please see images attached). Due to my lack of skills, I will edit the images in Pain (hehe) when I need to make the individual announcements. Basically I need the background images with a nice format to then put the info I need to show. 1. Round matches of the week. In this image I announce with whom our teams play agains this week. 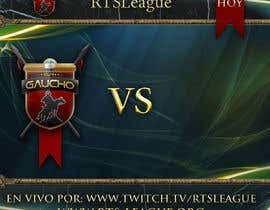 The text is: "Gaucho A vs Team A", "Gaucho B vs Team B", "Gaucho C vs Team C", "Gaucho D vs Team D", "Gaucho E vs Team E". "Live at: [login to view URL]" "[login to view URL]". There´s 7 rounds so I´ll need seven of these. 2. Games of the day. In this image I announce the game that are going to be played today. 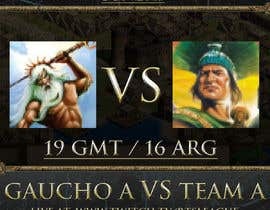 The text is: "Games of the day" "Sunday" ""Gaucho A vs Team A - 19 GMT / 16 ARG", "Gaucho B vs Team B - 18 GMT / 15 ARG", "Gaucho C vs Team C - 17 GMT / 14 ARG", "Go teams!". "Live at: [login to view URL]" "[login to view URL]". In this image I weekly announce the team´s position in the division. It needs to be a nice looking way to display this: [login to view URL] Please note that I manage all Gaucho teams so there needs to be 5 charts. 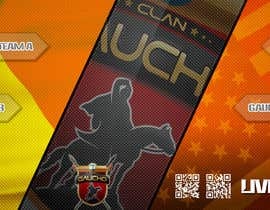 In all of them, the "Gaucho" team will show first and I will edit myself the numbers. You just need to put the teams´s names. 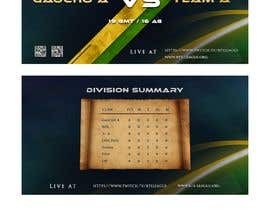 Please add as well the following text "Go teams!". "Live at: [login to view URL]" "[login to view URL]". To make your work simpler and be fair with participants, please just submit and overall idea of the design and if you win we can add then the data and complete the images in the handover process. Good luck and thank you very much por participating. - This is just a general concept for the design. in case was selected I will apply to all the matches, rounds and summery! - ready for any changes. - Ready for ANY changes until we reach the perfect result. 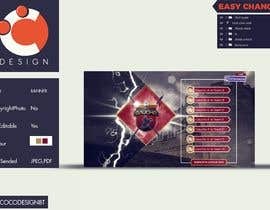 - Will deliver all the banners for each of the rounds and matches along with their EDITABLE formats. - colors graphics can be modified. Upload the attachments and Including the logos. Sorry guys, for some reason my attachments didn't load. You can find them now in the attachments. Hi, i did something like this before. It was for Rocket League tournament but it's the same concept. If you want to talk further about the project please contact me. Wow! Have no idea how to send you a message other than here. I'm a huge fan of this game. Is it age of empires 3? Hey man, good to hear! It's Age of Empires II: The Conquerors actually hehe. We also play AOE3 occasionally. 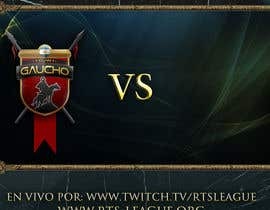 I'm contributing to the RTSL League with banners, you might have heard about it. It's an AoC and AoM League for clans. Best game ever.